The Radcliffe Institute for Advanced Study awarded this year's Radcliffe Medal to Dolores C. Huerta. Prominent labor leader and civil rights activist Dolores C. Huerta will receive this year’s Radcliffe Medal, the highest honor given by the Radcliffe Institute for Advanced Study, the institute announced Wednesday. Huerta, co-founder of the United Farm Workers of America and president of the Dolores Huerta Foundation, joins the ranks of United States Supreme Court Justice Ruth Bader Ginsburg, former U.S. Secretary of State Hillary Clinton, and former University President Drew G. Faust in receiving the medal. It is given annually to an individual committed to “excellence, inclusion, and social impact,” according to a press release. Huerta, 88, directed a nearly five-year grape strike in Delano, Calif. beginning in 1965, which led to collective bargaining efforts between the employers and what became the United Farm Workers. She helped win concessions on wages, security, working conditions, benefits, for workers, along with workers’ choice on representation. Huerta’s leadership in the labor movement centered on challenging ethnic and gender stereotypes. Her phrase “Sí Se Puede,” which she created as the slogan of UFW, has evolved into a symbol for the empowerment of marginalized groups across the United States. Former President Barack Obama based his campaign slogan, “Yes We Can,” on Huerta’s phrase. Radcliffe Institute Dean Tomiko Brown-Nagin, who will formally present Huerta with the medal at a ceremony in May, called her “a towering figure in the labor, civil rights, and women’s movements” in a press release. Brown-Nagin said Huerta’s achievements are often overshadowed by her male counterparts, like Cesar Chavez. “Every American should know her name and her decades-long work to secure the rights of farmworkers, women, and other disadvantaged people,” Brown-Nagin added. 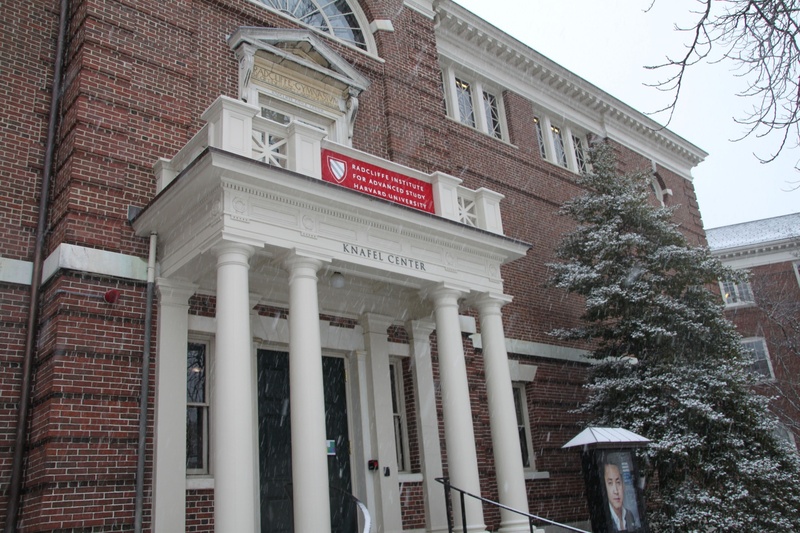 The Radcliffe Medal is not Huerta’s first honor from a Harvard-affiliated institution. She was also the recipient of Harvard Foundation for Intercultural and Race Relations’ 2009 Humanitarian of the Year Award – an award that has also honored Pakistani activist Malala Yousafzai and former United Nations Secretary-General Ban Ki-moon. Huerta will receive the award May 31 as part of the annual Radcliffe Day during Harvard’s commencement week. The day’s program will start with a discussion panel on the “intersection of food and social justice” moderated by Emmy-winning journalist Soledad T. O’Brien ’88, followed by Huerta’s keynote remarks and a separate conversation with O’Brien, according to the press release.